In the 24th century, humanity is at war with a hostile alien race. Outnumbered a million to one, mankind's only hope of survival is the J.U.M.P. Corps. You and your friends can assume the role of JUMPERS, and blast your way through subterranean alien hives in chaotic run-and-gun 2D platforming action. 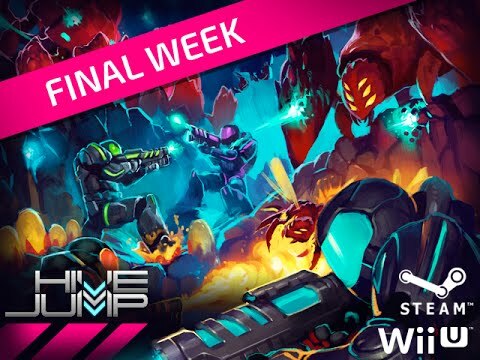 Hive Jump was released on Switch and Xbox One 101d ago in the US and the UK. Notify me when Hive Jump is available.